This mobile application automates the sponsorship process between SAP Sales Team and SAP Events Team. 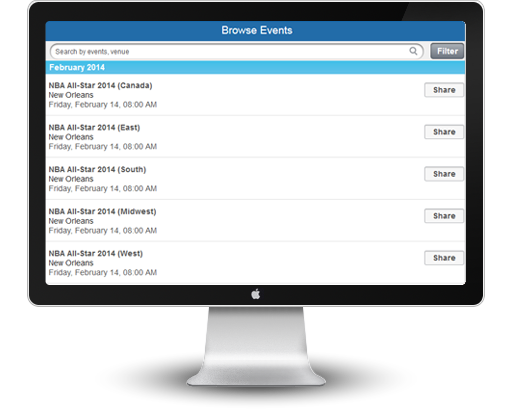 This app allows users to browse events, search events as well as view event details like Location on map, Event Name, Date/Time, Seat details, Ticket availability, Selection Process, Who Else Attending & guidelines for attendance. User can download this application in their mobile phones and enjoy several other features like Request tickets for his account, View the status of the requests (Approved /Pending / Waitlisted), Share approved events through Facebook, Twitter, Email, and Text message etc.